Last week on the Bowery Capital Startup Sales Podcast, we hosted Sangram Vajre, the Co-Founder and CMO of Terminus. With Sangram, we explored the topic of winning strategies in account based marketing. Terminus enables B2B marketers to target accounts, engage decision-makers, and accelerate marketing and sales pipeline velocity at scale. In this episode of the podcast, Sangram reveals how he and his team tackled the challenge of diving into account based marketing. He speaks on what account based marketing encompasses, what types of companies it works best for, and how to structure a strategy successfully. We’ve taken Sangram’s 4 major tips for a winning strategy in account based marketing and summarized them below. (1) Understand the Nature of Account Based Marketing. Account based marketing is about having a narrow, targeted approach to selling (see Sangram’s reverse funnel image below). Sangram tells us that he looks at ABM as “focused B2B marketing”. The days of the shotgun approach to marketing are over. It no longer matters how many people have downloaded your e-product, rather, it matters which people are engaging with relevant content. Furthermore, that engagement needs to permeate through all levels of the business. ABM works to target pe ople beyond your initial point of contact to strengthen the B2B angle of your efforts and get the entire decision committee on board with your message. A large part of ABM is about aligning your sales and marketing team in a collective effort to pursue accounts. In modern business, it is unheard of for sales to ramp up while marketing budgets fall. Sales and marketing is kept as one line item on the balance sheet, and should have a partnered mindset within an organization. There is no “sales goal versus marketing goal”, they should be going at it together. (2) Know Where Account Based Marketing Works Best. In the same way that content marketing or inbound strategy may not apply to every single business, ABM is also not the end-all-be-all for everyone. There are specific situations where ABM can add outsized value, but it is important to know where it works and where it doesn’t. If you know your target audience extremely well, and that audience is a mid-size or enterprise level business, then ABM is likely something you should consider. If you are doing a large amount of transactional sales on a consumer basis, ABM will not give you the gratification you are looking for. ABM is best suited to large accounts that will have significant impact. These high impact situations are where intense personalization makes sense. before switching a customer into the ABM process, you need to consider the question of scale. (3) Hire the Right Team and Be Aligned. From a talent perspective, ABM starts at the top. The executives within an organization need to be willing to to break down the boarder between sales and marketing in order to be able to execute ABM correctly. Some executives prefer a tension between their sales and marketing teams, and in those situations it is difficult for ABM to work. 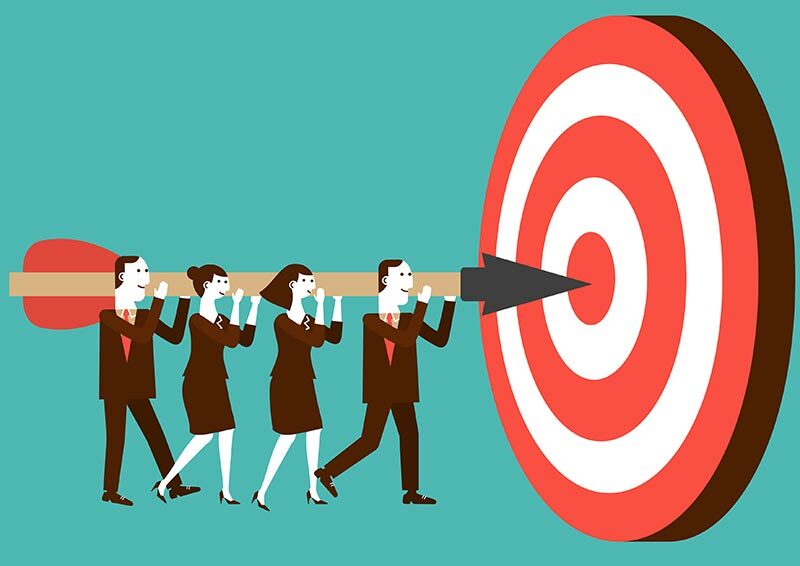 Subsequently, the best hires to support an ABM strategy are those who understand that symbiotic relationship between sales and marketing and can come into the company with the idea that they are going to work together as one unit, be held to the same numbers between teams, and drive business forward. The second aspect to this is aligning the earlier employees within each team. At Terminus, Sangram tells us about how his demand generation team, sales team, and marketing team are fully tied to each other through bonuses and incentives. All teams are in part responsible for every aspect of the process, meaning that the primary thing that is important to all of them is how Terminus does as a company. (4) Track The Right Metrics. Sangram spoke about how metrics in ABM are different from traditional metrics. He lays these out in an ABM framework (alongside other great tools) here. As an example, he talks about how the idea of pipeline in ABM could potentially be replaced by purely tracking how many conversations and demos the teams as a whole has had. He also gives the example of using sales velocity, “can we get the cycle time from 90 days to 85 days”, as a new metric. Often marketers are so focused on demand generation that they ignore the opportunity of their current customer base. Things like up selling and cross selling across business units are great opportunities for a marketing department. Measuring ROI on those accounts can help a company better understand where it makes sense to focus their efforts in the future. All of these metrics stem from the idea of an intertwined approach across sales and marketing units. If you found Sangram’s 4 techniques on a Winning Strategy in Account Based Marketing helpful, listen to the full episode with him here and subscribe to get a new episode of the Bowery Capital Startup Sales Podcast every week.